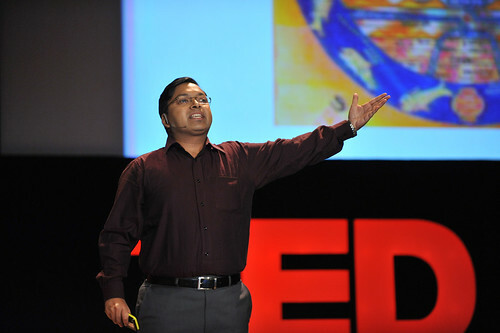 Today was day 1 of the main TEDIndia event. I’ve been at the wonderful Infosys Mysore campus since Monday and have met some truly extraordinary people. I couldn’t help but write a quick summary of todays sessions and what inspired me most. 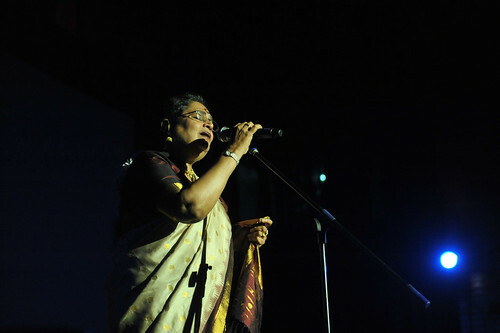 Usha Uthup, legendary Indian pop singer, opened with a beautiful rendition of “Raghupati Raghava Raja Ram” — generally believed to have been Mahatma Gandhi’s favorite song, there were quite a few other direct and indirect references to the “Father of the Nation” later in the day. 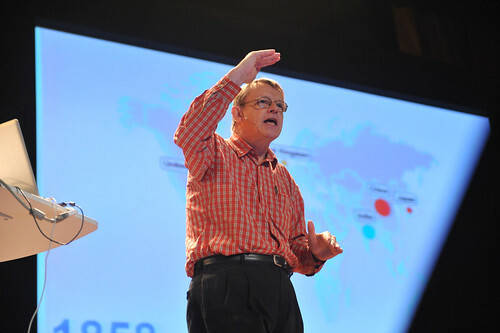 The first speaker was the incomparable Hans Rosling, showing some very interesting graphs on Asia’s past and future in terms of life expectancy and per capita income. He showed this against a historical context and predicted that it is possible for India – providing certain conditions are met – to reach the same average income as the United Kingdom by the year 2048 (July 27th, in the late afternoon to be precise). Next up was Devdutt Pattanaik, talking about mythology and cultural perceptions. He started with the story of the race around the world between Ganesha and Karttikeya — abstracting this down to subjective truth and personal context. He went on to discuss Alexander the Great and the gymnosophist, linear versus cyclical belief systems. I was most interested how he would be able to tie these ideas into the business world and he did manage to make some compelling arguments there. To round off the first session Usha Uthup again came on again to sing a medley from all around the world and got the crowd to stand up, clap, sing dance along. I don’t think anyone expected that to spontaneously happen and is – as I am told – generally referred to as a “TED moment”. 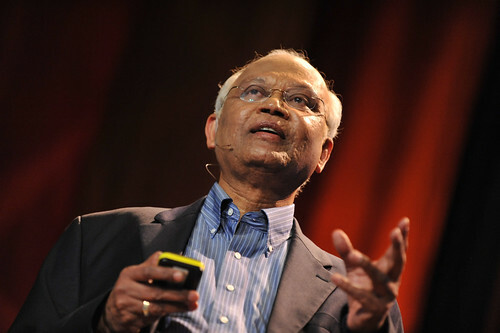 Jumping forward a bit the next speaker I would like to highlight is Dr. R.A. Mashelkar. Coming from an underprivileged background as a child, he grew up to become an eminent scientist. The mantra throughout his talk was: “Getting more, from less, for more” and the idea of “Gandhian Engineering”. He makes a good point that when targeting people that can barely get by, its not enough to think about cost cutting, it needs to be about ultra-low cost solutions. He showed various examples, including a very impressive prosthetic leg that could very easily be fitted, allowed to run, jump, climb tries and cost well under 100 USD what would otherwise be 20.000 USD. This talk to me reinforced the idea that “constraints are the best breeding ground for innovation”. 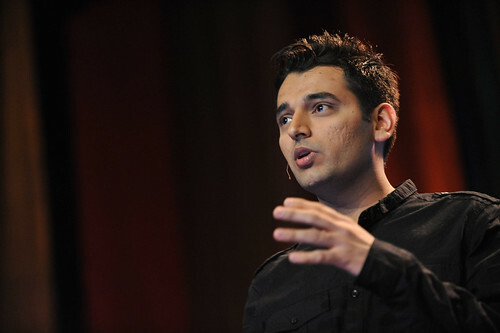 Moving on to the last session of the day, one person you’ll no doubt here a lot more from in the future is Pranav Mistry. The work he did on Sixth Sense technology, essentially bringing together the physical and digital world, was also featured at a previous TED by Patty Maes (a Belgian native) but he showed a number of interesting new applications. It was great to hear about some of his earlier experiments and more of the vision behind the project. 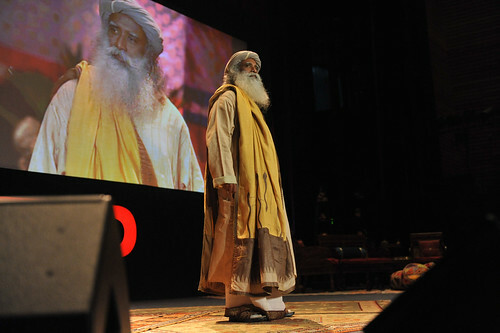 Another fantastic talk that really resonated with me was one by Sadhguru Jaggi Vasudev, an India mystic like no other. He shared his life story and explained what he called the “field of perception” which we put up in our mind, something that can be expanded to encompass the wider world around us. As such he says that the idea of empathy is built into our very systems. Sadhguru certainly is a profound and profoundly entertaining speaker including references to stolen sandals at temples, “divine versus dosa” and the hilarious punch line “hey woman, its your dream”. Turns out he is a pretty good singer as well. Be sure to watch for that when the recording goes up on TED.com. The last session of the day got closed by an impressive musical duo, Anil Srinivasan and Sikkil Gurucharan bringing a unique mixture of classical piano and carnatic singing. Its hard to imagine that combination of East and West would work well together but it makes for a unique sound. I’ve certainly become a big fan of their music. I hope some of you have been able to follow along on the free livestream, they’ll be doing the same for the last session of the conference on Saturday at 11am Indian Standard Time. This has certainly been a memorable first day and can’t wait for the rest of the conference!